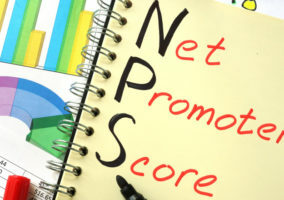 The Employee Net Promoter Score (ENPS) is now an essential metric in many contact centres as a measure of advisor engagement and loyalty. Here we offer guidelines for how to calculate an ENPS. There are two methods of creating an ENPS. The first follows a similar method to the customer NPS and, for the sake of this article, will be named “the conventional method”. The second asks employees more than just a single question and produces an average figure. This approach will be named “the cumulative method”. The two methods are outlined fully below. Once this has been done, the contact centre can simply find the overall number of respondents, detractors and promoters and input these numbers into the following equation. This will provide a +/- employee NPS percentage score, which many contact centres update on a bimonthly or quarterly basis. This is a method that we first discovered on a site visit to PhotoBox’s contact centre in London. There, the Contact Centre Manager Abder Bounaaja asks advisors to respond to a set of statements through a survey. So, if an advisor were to be given a set of eight statements, they would give eight responses. For example, one advisor may answer three statements as a detractor, one as a passive and four as a promoter. This method has given PhotoBox an overall ENPS, which is updated every quarter, with the same set of questions used each time. However, there is a second option of keeping advisor responses to each statement separate and creating individual scores. For example, if the following two statements were put forward to advisors: “I am happy at work” and “the incentives motivate me to reach my targets”, the contact centre will have an individual metric for advisor happiness and incentive success. If a contact centre introduces a new scheme, system or initiative that directly impacts on advisors, it could check the change in ENPS scores from the previous quarter to the one immediately after to evaluate the reaction of the team. The PhotoBox contact centre in London, which measures an internal ENPS score, has found it useful for this particular reason, as well as gaining insight into the culture of their workforce. One example of how PhotoBox did this was when the company decided to provide drinks and snacks for advisors with special dietary requirements. Although this may seem like a small change, the company’s ENPS in the next quarter rose sharply, indicating that, while the change only affected a few, many recognised the gesture. The graph below shows how the results of PhotoBox’s internal NPS survey has progressed since it was launched in 2015. High advisor engagement can give an organisation a competitive advantage in terms of retaining experienced advisors, motivation and therefore service quality. So it is a useful quality to measure, and an ENPS gives the contact centre the opportunity to measure it as they would do so for customer-related metrics. Being a measure of engagement, a dip in ENPS could forecast a period of high advisor turnover, absenteeism and low enthusiasm. Each of these can have a detrimental impact on the contact centre’s resources and the quality of service that it provides. So, if the employee NPS score is lower than when it was previously measured, this could be taken as a hint that something new is needed to boost motivation on the floor. This could be anything from introducing a new motivational game to reinventing the contact centre’s reward scheme. While the “cumulative method” is more time consuming, its survey still should not take long to complete. Giving advisors long, complex statements will only be a cause of confusion that prolongs the process and keeps the team away from their main responsibilities. After all, the aim of this metric is to provide a snapshot overview of engagement levels on the contact centre floor. Don’t get too “bogged down” in the science of it. The statements should also be relevant to the advisor position, so presenting the team with a statement such as: “we have the resources to provide an 85% service level in 20 seconds”, may be a little out of place! In terms of getting as many responses as possible to attain an accurate picture of engagement levels, make sure that each employee knows that the survey is confidential. A ‘fill in your personal details’ section should not be mandatory. 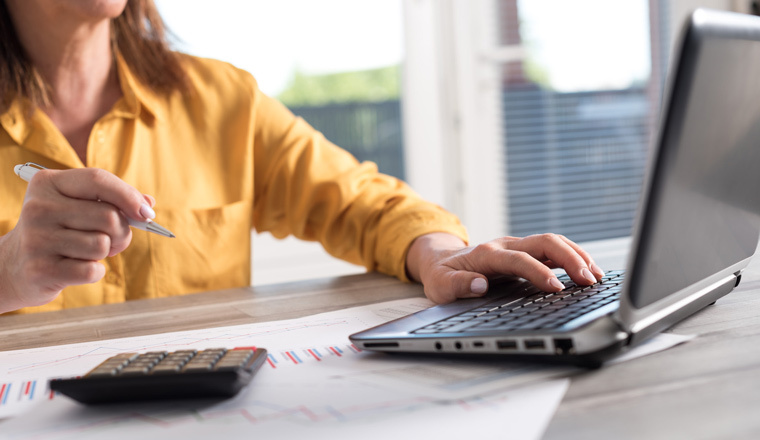 Most contact centres that calculate an ENPS will do so after every two or three months to manage advisor expectations and provide a suitable time span to assess how changes have impacted upon engagement and loyalty. Abder Bounaaja says that “there is no point in running a survey only when you feel like it or when your scores go down. While the main purpose of this metric is to assess engagement level, it is also a feedback process that will be important to many advisors. The feedback that the contact centre attains through this process can be taken and, in some cases, acted upon in a “you said, we did” fashion. While, as Abder Bounaaja says, “you’ll not always be able to fulfil every request submitted in the survey, it’s vital that you acknowledge these requests or suggestions and explain why you are unable to bring them to life. Do you have any other advice for conducting an internal NPS in the contact centre? If so, you can leave your thoughts in an email to Call Centre Helper.